Field trips happen occasionally as an activity choice at the assisted living where my mother resides. Unfortunately, often the residents who do not go on the field trip, are left with nothing – no activity, that is. Due to limited staffing, if the activities staff accompany the residents who are going out, there is no activity for those who remain. Recently, I volunteered to oversee the regularly scheduled bingo game while a group of residents went out on an “autumn leaf and lunch” trip. Suffice it to say, I am no bingo expert, I know the basics, but know little of the wide array of variations and nuances. I thought it would be wise to seek the assistance of one of the resident “experts”. I knew from when she used to sit at my mom’s dining table, that Maxine was a loyal bingo player who was a stickler for the details. She beamed when I asked if she would help me. ” I will have to miss my bath though, they have changed bath times and now I am scheduled for one during bingo time.” I assured her I did not want to be the cause of a missed bath, but she insisted it was fine. She would much rather assist me! “Do what?” I asked. They were just quietly sitting and waiting, with their bingo cards in front of them. “Pick out their own cards! YOU are supposed to hold all the cards and give them out as the players enter the room. That’s cheating!” Maxine angrily explained. What to do? I hated to take back the cards. The three early arriving residents didn’t seem likely cheaters. I knew one of the gentlemen had dementia and I felt certain he would not be so astute as to pick out the “most-likely-to-win” card. “How about if we let these guys have a pass, but I take the cards left and give them out like you suggest, as the rest of the residents arrive?” I asked Maxine. “That’s fine, but I am still not going to play now. That is NOT allowed at the big time bingo games and I will not condone it.” She responded with her chin in the air and a superior tone. “Ok but will you still be my helper? How about if you be the keeper of the card that keeps track of the numbers I call? That will allow me to fully concentrate and you can then review the winner’s cards.” I pleaded with Maxine. She agreed to that and seated herself, got “plugged in” and was ready to go. Slowly the others trickled in and I gave out the cards. Randomnly, of course! In fact, I actually shuffled them a couple of times. I noticed that I was “set up” over in the corner. It seemed a bit odd and awkward, so I moved the small folding table that held the stacks of the numbers over toward the middle of the room. “NO, you can’t be there” offered Lynn. ” You have to call them from over there in the corner, that’s the way Sarah always does it.” Sarah was one of the activity staff members. “But I thought it might be better to stand out here, so you can see me better,” I said. “NO, you have to place the cards with the numbers you call up there on that rack on the organ. That way we can see them even after you call them. It’s the way we always do it.” Lynn insisted. “Well, ok then,” I said, and I moved the small table back to the corner by the organ that is never played. Now we know, it’s actually the “Called Bingo Number” rack. Finally, everyone arrived – even my own mother who detested bingo. She had never liked bingo and living in the assisted living had done nothing to change her mind. But her private caregiver had escorted her in, telling her she should at least participate when her own daughter called the game. I greeted Mom enthusiastically and she rolled her eyes in disgust. Now we were ready! The next order of business was to decide what type or “pattern” of bingo we would play first. Several called out suggestions but I announced that we would first do “traditional bingo” since I was new at this and needed to get warmed up. I also asked them to be patient with me as I was a bingo “novice”. Several smiled and nodded. Frances, however, at the back table said ” Let’s get on with it, honey, We are already starting late!” I discerned then, that Frances would show no mercy. I wanted to make bingo time festive, so I had brought one of my mom’s big band CD’s to play as background music. Francis quickly nixed that. ” It’s distracting – can’t hear the numbers, turn it off!” A couple of others agreed with Frances. I dejectedly complied. Several of the residents had taken two cards. It was taking them some time to peruse the cards to find the numbers. Frank, with dementia, was really slow and would repeatedly look up at the number I held high and back down at his cards. I didn’t want to rush him. “B- 12, like the vitamins, B- 12!” I called. “G – Fifty five. That’s G – Fifty five” I called as I held the cards up high. Walter was seated with his back to me, and from his wheelchair, stiffly tried to turn his head to see the cards. He was quite hard of hearing and simply could not hear me even though I was shouting out the numbers.” Walter, would it be better if you changed places so you could see the cards better?” I asked. “He always sit’s there. That’s his bingo seat.” said Frances, as Walter shook his head no. ” B seventeen. That’s B SEVENTEEN” . “Honey don’t say it that way. Don’t say ” seventeen”, say “One – Seven”. That’s the way you are supposed to say it.” This of course, was from Frances. “Bingo! I have bingo! !” someone shouted. Finally, thank you, Lord. How many games was I required to call? How long did bingo time normally last? I was now prespiring. I took off my sweater. After Maxine confirmed that the winner was truly a winner, I distributed the quarter due and we discussed what the next game would be. Yes, the winner recieved a quarter. The Activity Director had previously informed me that the winners MUST receive a quarter. She had tried to change it once and there had been an uproar. She had left me a brand new roll of quarters. We determIned that this game would be an “X”. Wow, that would be complicated, but whatever. “No” cried the group. “You don’t call “N” in X bingo!” Ooops. Maxine looked at me disgustedly. At this point, I saw my mom leave the room. her private caregiver shrugged her shoulders and mouthed at me ” I tried”. Eventually, someone shouted “Bingo”. Maxine confirmed. I gave out the quarter with great enthusiasm. I looked at the clock. We had only been playing for fifteen minutes. It seemed longer. “Cover Me, let’s play Cover Me, you have to cover the whole card,” someone shouted. Good grief, cover the whole card?? how long would that take? But I smiled and said, “Sure, the next game will be cover me”. ” N – I can call “N’s” Now right?” I asked. “You brought ice cream? Well, why didn’t you say so? Sure, we’ll take ice cream. What kind do you have?” and bingo was officially concluded. After I had passed out the ice cream, spoons, and cute halloween napkins, everyone was eating and murmuring among themselves. I was busy taking up the cards and straightening. From the back of the room I heard Frances shout, ” Honey, we forgive you for being new at this, since you brought us ice cream! My mama didn’t raise no fool. 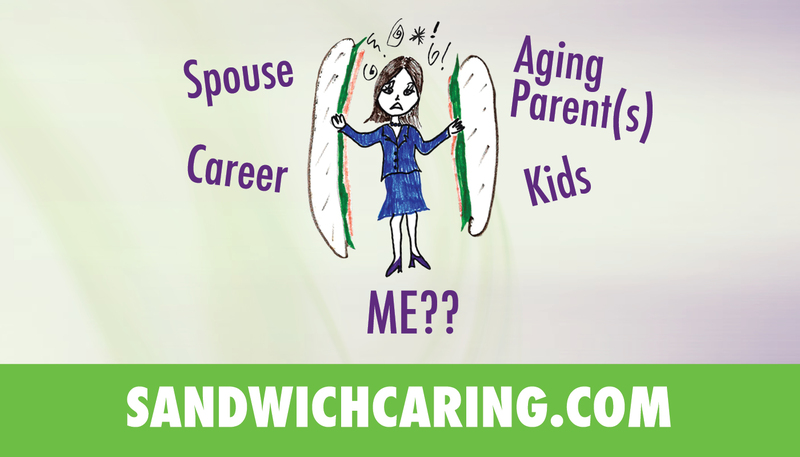 This entry was posted in caregiving, dementia, life challenges, parents, planning for the future, sandwichcaring, Uncategorized and tagged aging parents, caregiving, dementia, health care on October 30, 2014 by janestory.